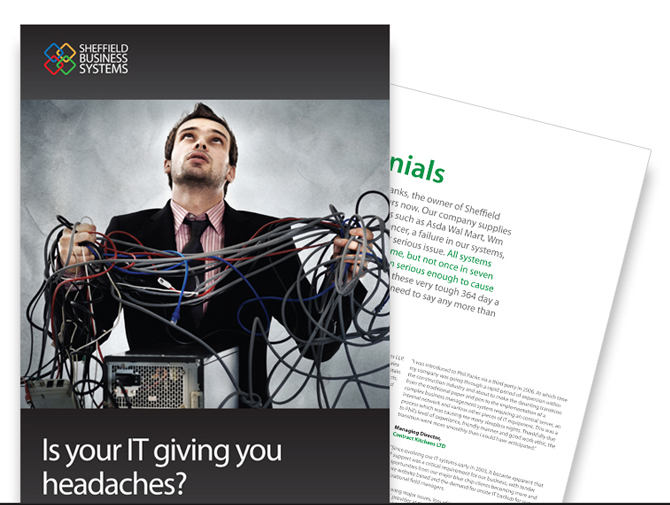 Phil, the owner at Sheffield Business Systems asked us to re-design the brand for his business. We simplified the logo to make it visually stronger and applied new colours to the brand palette. We then designed a brochure and folder pack with the new changes applied.